Luckyfinds: Applebee's Grill and Bar has all-new appetizers, salads, pasta, mains, burgers, local favorites and much more! Applebee's Grill and Bar has all-new appetizers, salads, pasta, mains, burgers, local favorites and much more! Applebee's created a buzz when it opened its first Philippine branch of located at the W Global Center (30th Street corner 9th Avenue) in Bonifacio Global City. Now, the popular US chain is about to give more reasons to celebrate! There is always a reason to celebrate at Applebee's, and the next wave of celebrations begin this September 2017 with the launch of their new menu with a bit of local flavor infusion into Applebee's celebration pot. Applebee's Philippines is also rolling out its new look straight from the US with a New Brand Promise: Serving Up Good Times. 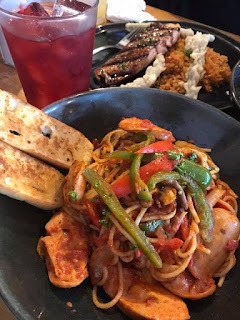 And of course, a big part of keeping that promise is a delicious array of new dishes that the new menu is absolutely loaded with," shares Bob Vallar, Marketing Manager of Applebee's Philippines. 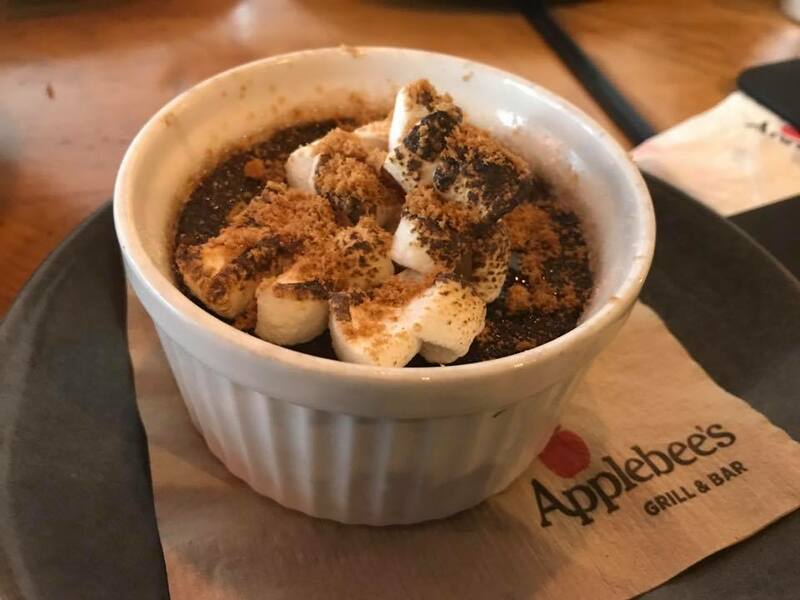 "Applebee's Grill and Bar is all about having fun, enjoying great food, sharing a fee laughs over drinks with friends and family...And Applebee's provide you with that oasis, wherein you can relax, enjoy yourself, and leave your cares outside the door," he adds. 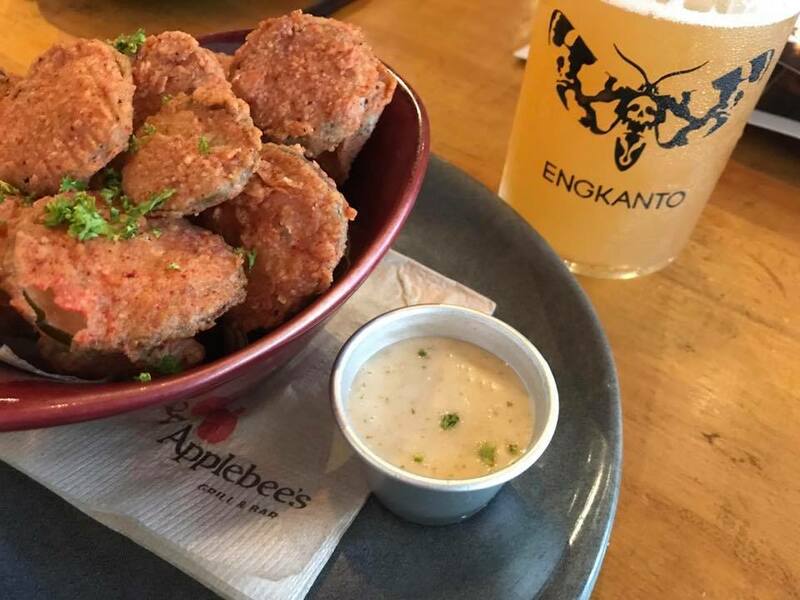 Applebee's all-new appetizers give an auspicious start. It can get things going in two ways----Team Beer and Team Cocktails and Wine. 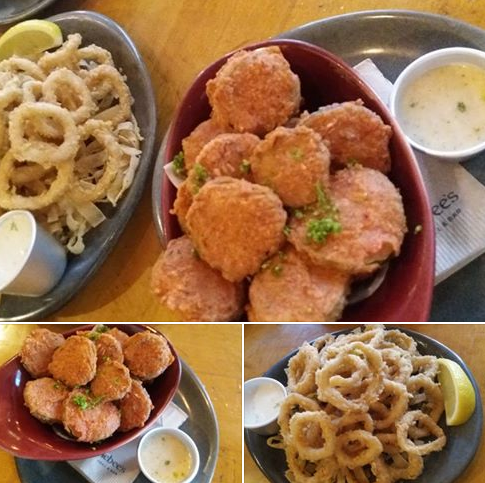 Team Bear can choose between Engkanto's Ginger Ale and Lager to pair up with Fried Sweet and Spicy Pickles, Bacon Jalapeno Potato Croquettes and Calamari. Team Cocktails and Wine would love to pair their glass with a Southern Beef Brisket Quesadillas. 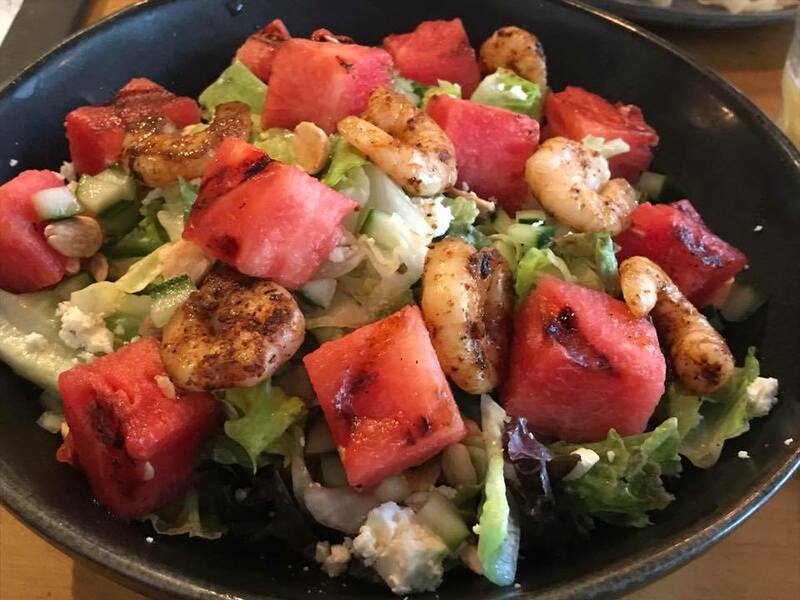 The new Grilled Watermelon and Spicy Shrimp Salad is perfect flavor accompaniment which the ladies would love. This seafood and salad creation is great for ladies who lunch. It has fresh greens, cucumbers, feta cheese, toasted almonds, spicy grilled shrimp, and grilled watermelon cubes in a creamy mint yoghurt dressing. If you love creamy pasta like I do, try out their Spicy Firecracker Shrimp Cavatappi. 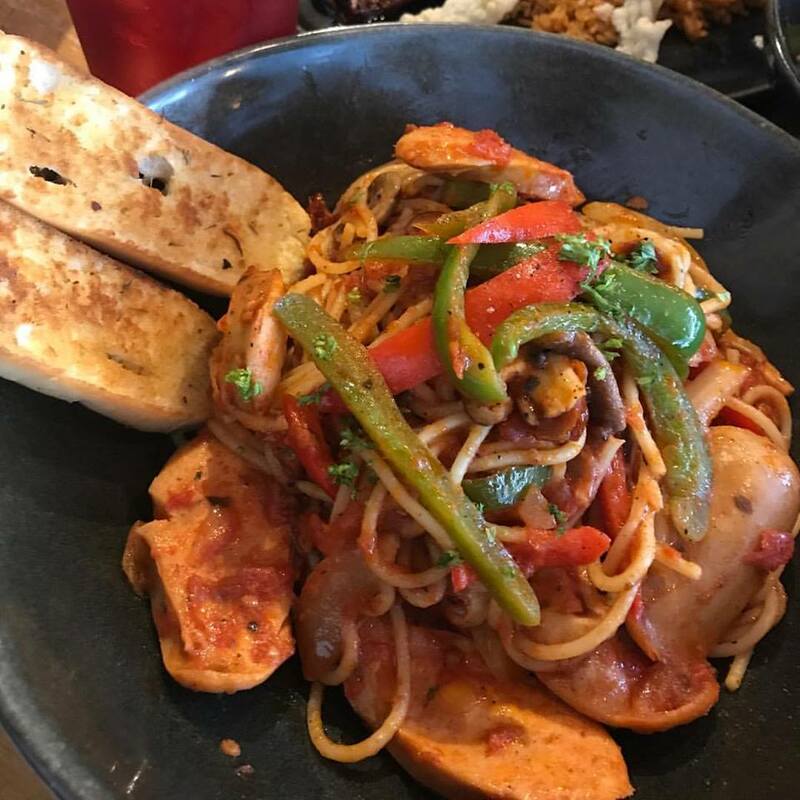 If you prefer tomato-based, the Grilled Sausage Marinara Pasta is a good choice. The spaghetti comes in a savory marinara sauce, topped with slices of grilled Schueblig sausage, mushrooms, bell peppers and sun-dried tomatoes. 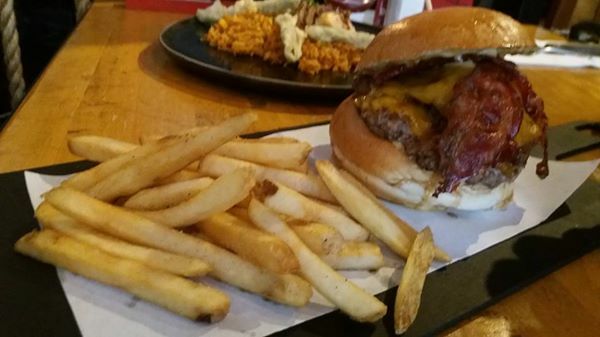 And if you're a carnivore, don't miss out on the NEW Triple Meat All-in Burger. 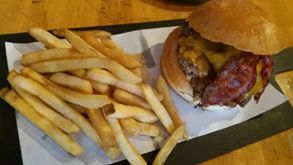 This latest hamburger creation is power-packed Brioche bun with USDA beef burger patty, double smoked bacon, shredded beef brisket, cheddar cheese and honey barbeque sauce. Applebee's NEW Pork Liempo Adobo, Fiesta BBQ Pork Liempo and Chicken BBQ are homegrown local flavors that people will swoon over. 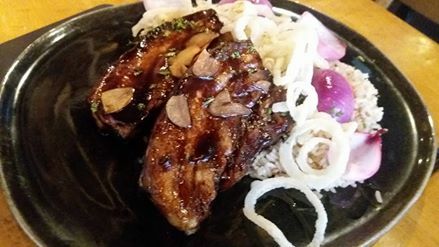 Pork Liempo Adobo is 2 slabs of succulent pork belly steaks drizzled in a tasty soy-vonegar sauce, topped with crispy fried onions. 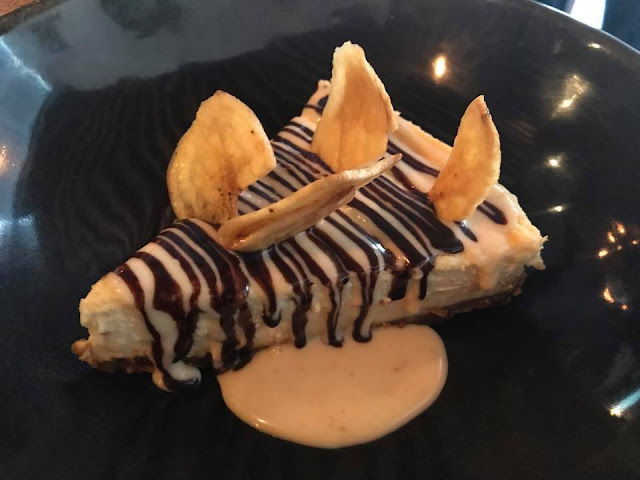 Cap your meal with the NEW Smores Creme Brulee (sugar-glazed chocolate creme brulee topped with banoffee crumble and toasted marshmallows) or the NEW Banoffee Cheesecake (toffee cheesecake drizzled with Dulce de Leche and Hot Fudge sauce, topped with banana chips). For more information, visit Applebee's on facebook.com.